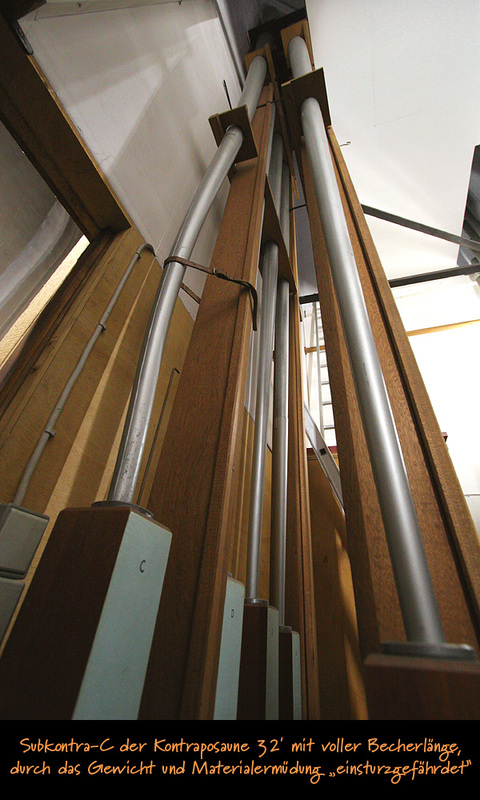 The nazi regime demands the compulsory levy of the pipes "of all fingerboards". The resourceful pastor declares the pedal not to be a "fingerboard" so for the time being it is saved. 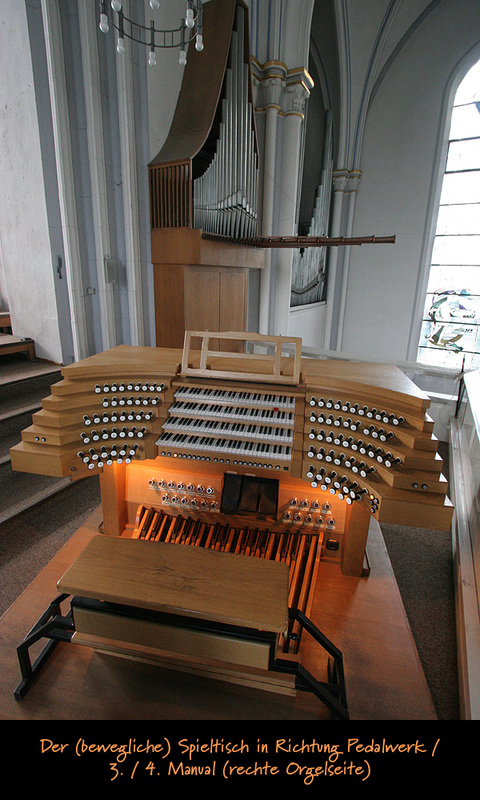 In late 1944 the organ is heavily damaged by World War II bomb attacks and in 1945 completely destroyed by a fire. As St. Matthias is destroyed the auditorium of a nearby school, the Sophie-Scholl-Schule, is used as an interim sanctuary. 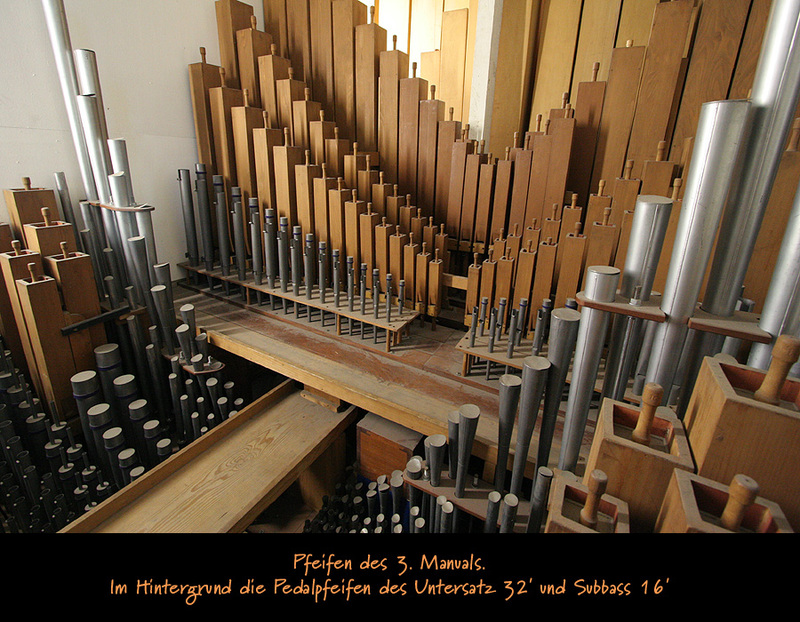 There a small organ with 8 stops on 2 manuals, built by W. Sauer (D, Frankfurt/Oder) is set up. 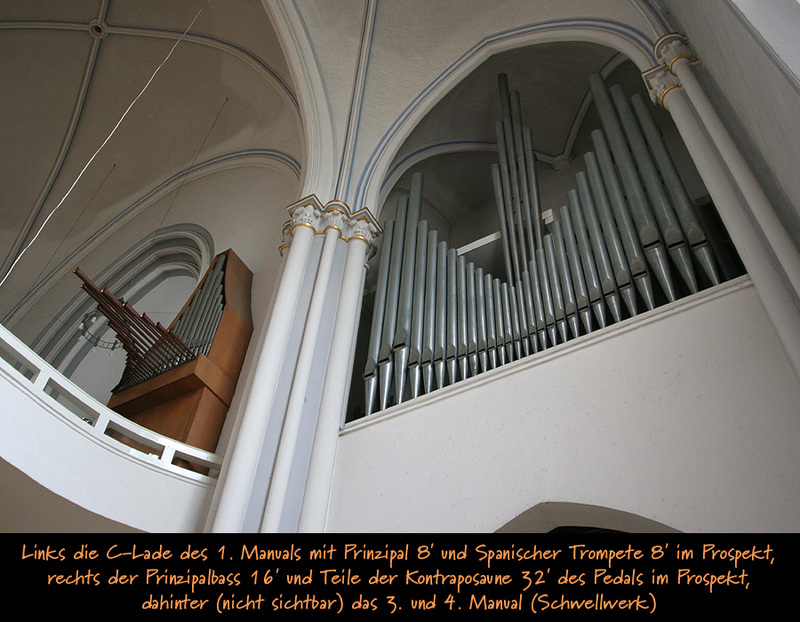 This organ probably contains some older stops (the instrument or some of its parts may have stood in Berlin-Treptow before). 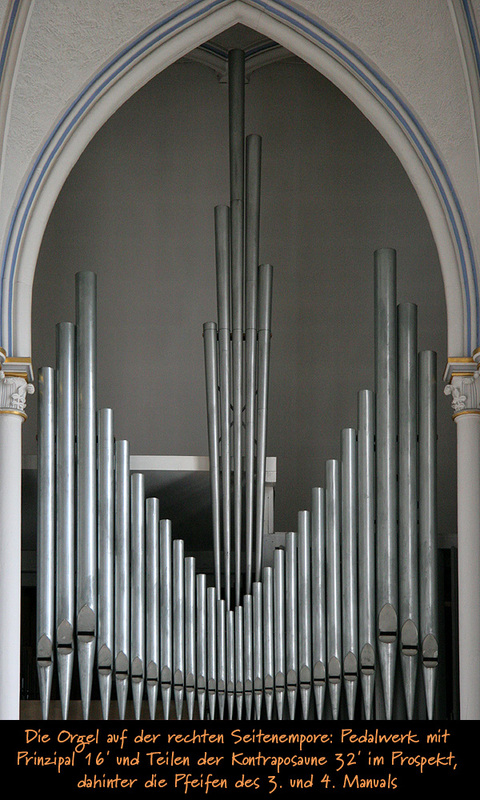 The interim organ is moved into the reconstructed church and gradually enlarged to 17 stops by several different organbuilders. 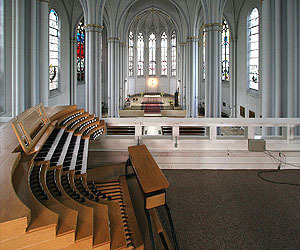 Still the organ is too small for its sound to fill the spacious church. 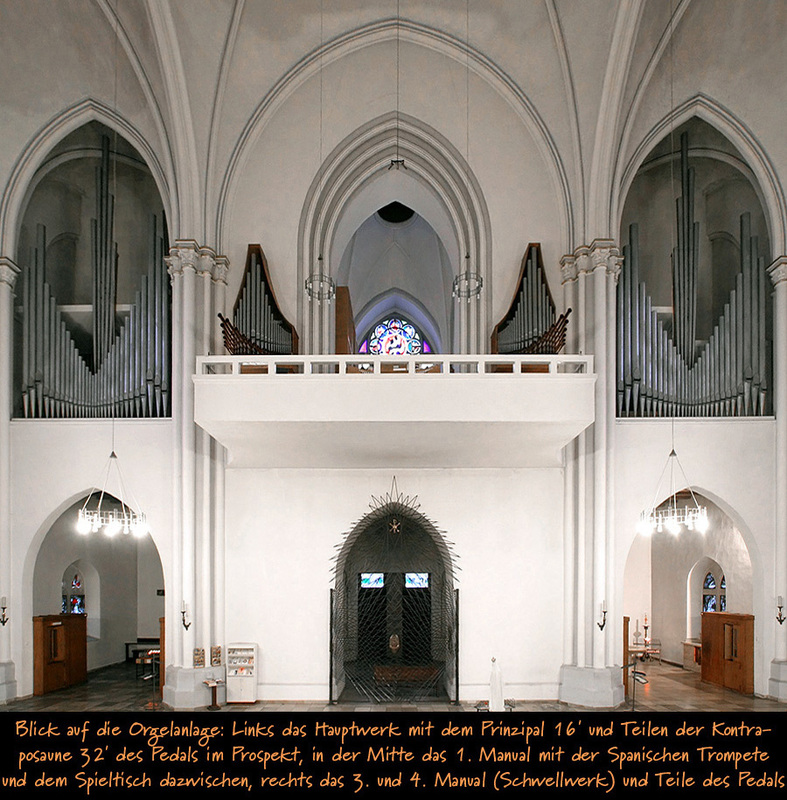 The small organ is sold to the neighbouring parish of St. Fidelis. 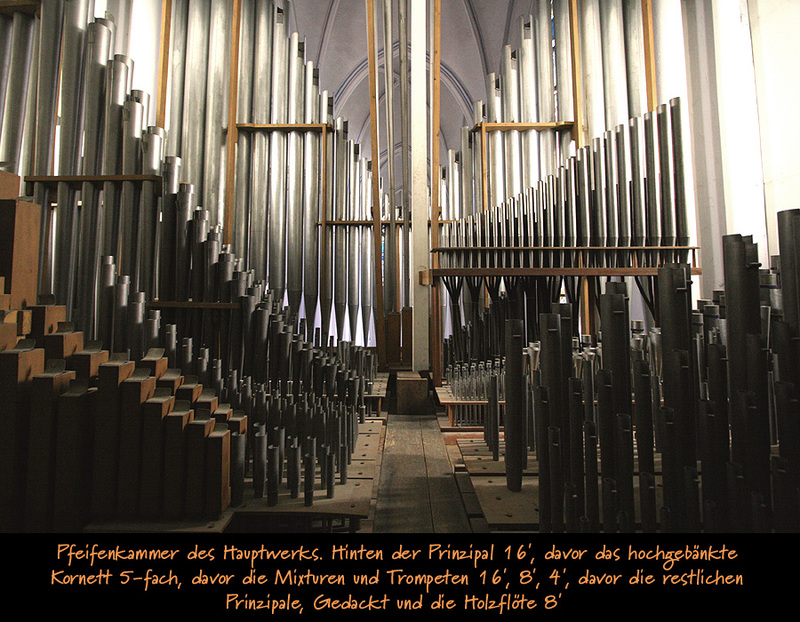 At the same time Romanus Seifert & Son (D. Kevelaer) build a large new organ with 69 stops (+ 2 transmissions) and 5,097 pipes on 4 manuals and pedal for St. Matthias. 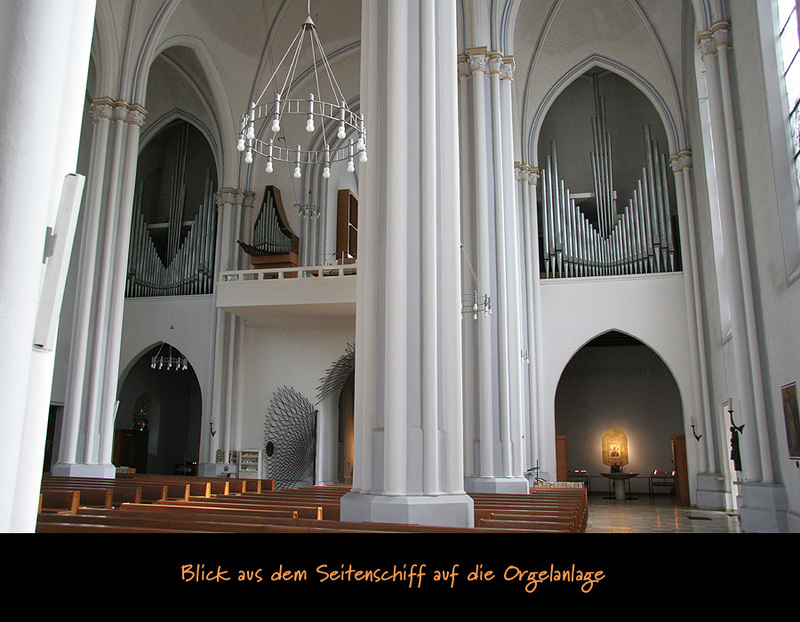 The organ is arranged on the middle balcony (Solowerk), both side balconies (Hauptwerk (Great) and parts of the pedal on the left, the rest on the right) and the sanctuary (Altarwerk). General overhaul, addition of 2 stops and extension of the combination system by Sauer (D, Frankfurt/Oder). Installation of the prepared Flûte harmonique 8' in the Great division. 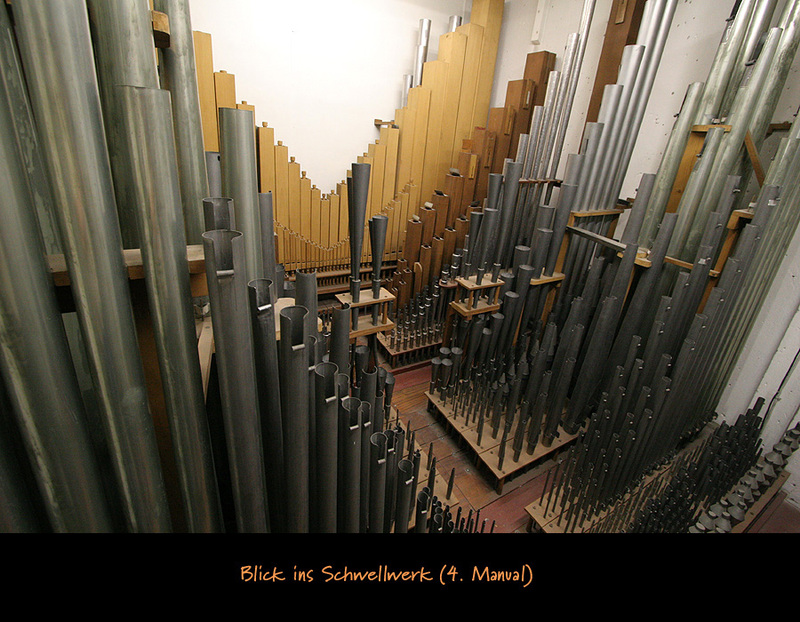 With its at present 111 ranks and 76 stops + 1 extension + 7 transmissions, arranged on 4 manuals and a pedal it is one of the largest organs in Berlin. 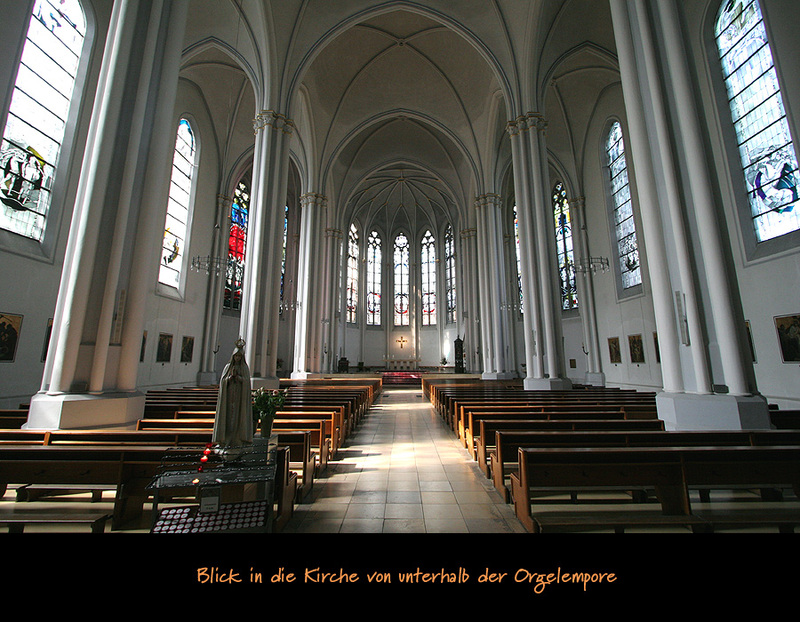 Thanks to the immense cathedral acoustics in St. Matthias it surely is the one with the most impressive sound by far. è Detailed stoplist (will open in a new window). 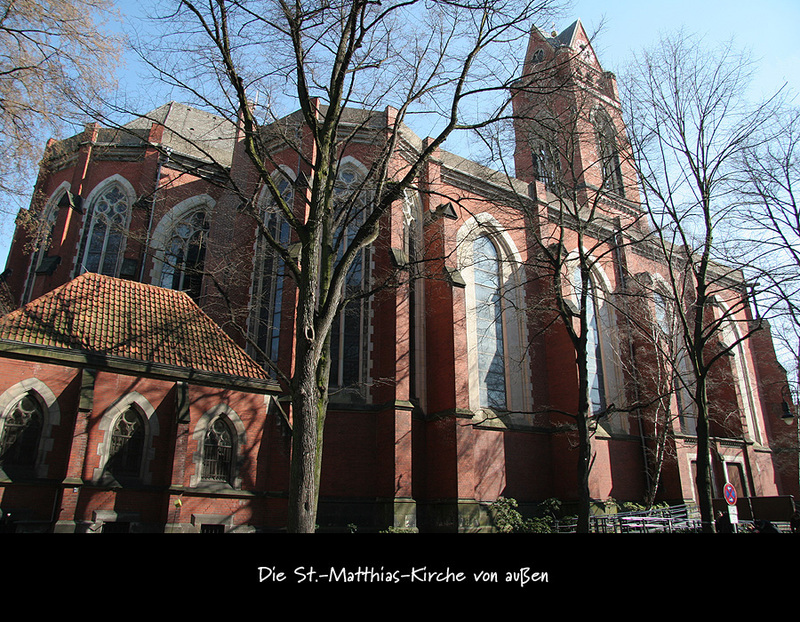 The sound samples are taken from a Motette CD that Ludger Mai, then organist at St. Matthias, recorded after the organ was enlarged in the 1970s. 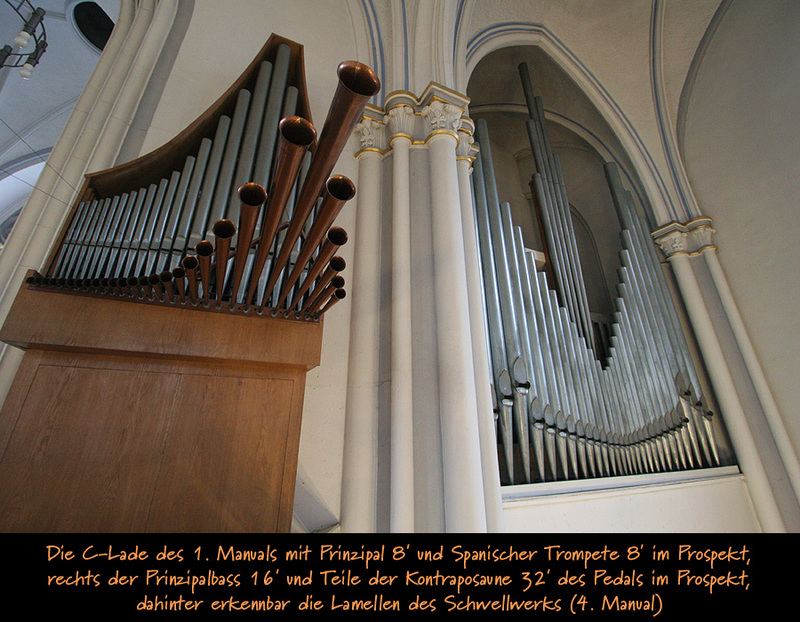 For this reason the sound quality is not too good, but still you will be able to get an idea of what the organ sounds like. 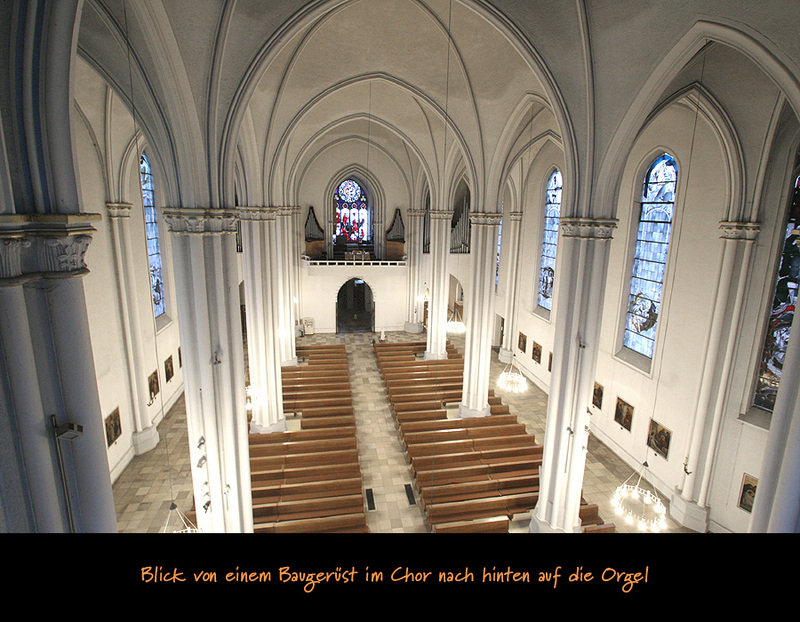 I also recorded my own sound samples at the great Matthias organ – to listen or download click here. among others the complete CD program of Motette, Psallite, ifo and organ publishing companies. 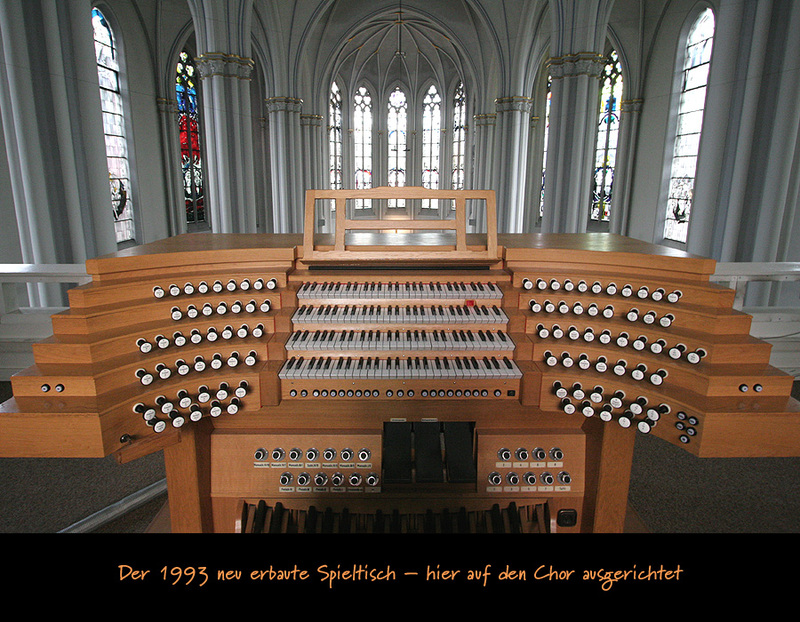 • Gamba 8' As the strings have been underrepresented in relation to the size of the organ this new stop will be an important addition to the sound diversity of the organ. The Gamba is to sit in the Hauptwerk (Great), it will be also playable in the Positiv as a transmission. 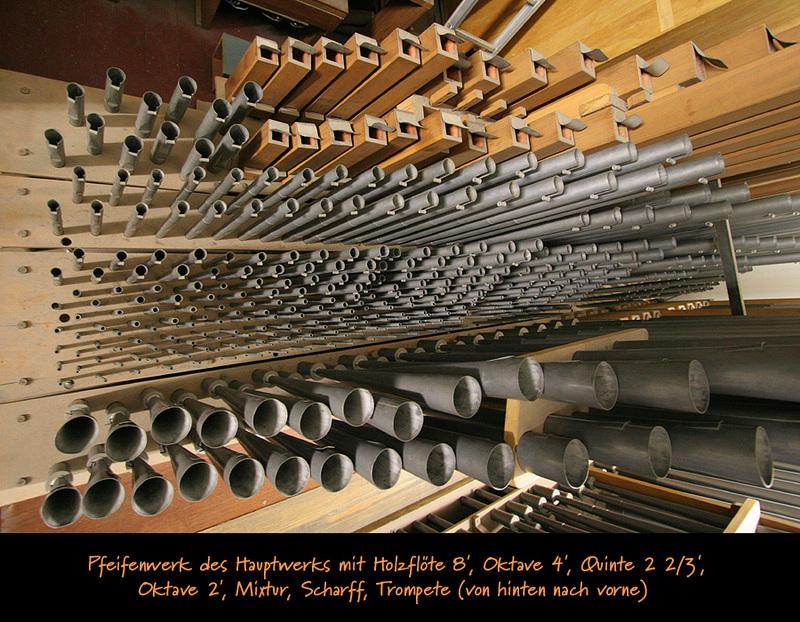 • Flûte harmonique 8' New overblowing flute needed to display Romantic works. 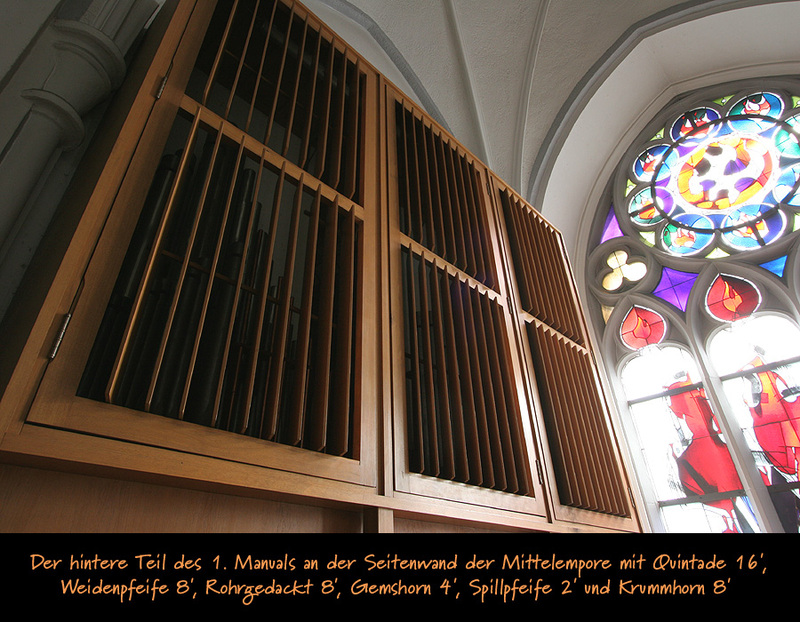 The St. Matthias church and especially organist and minister of music Ulrich Gembaczka would be grateful for donations. They will be happy to issue a donation receipt for your donation.